T. L. Holloway draws from a large pool of experienced musicians in order to provide our standard of authentic jazz to everyone who wants it. This is a small sampling of musicians. Steve Keller / Piano & Vocals — Steve’s enthusiasm for the Great American Songbook began with Frank Sinatra, and he started his musical career by crafting a tasteful piano sound to accompany his own sentimental vocals. Steve honed his talent with the Vassar College Jazz Ensemble and the school’s barbershop group during his undergraduate days. As Steve’s career progressed, he developed a love for instrumentalists like Dave Brubeck, Bill Evans, Oscar Peterson and André Previn. His work today fuses combo-style piano jazz with warm vocal stylings. John Stegemann / Drums — John has played jazz drums for the majority of his life, delving further into its complexities over time. With the utmost attention to detail, John has crafted his own personal style that keeps true to the mentality of "less is more." He brings a unique flavor to each performance, always with an emphasis on taste and subtlety. Before his tenure with T. L. Holloway, John performed with various small groups in the Boston area and was the lead percussionist for the national award–winning Boston College bOp! Jazz Ensemble. Peter Keller / Guitar — Peter is a jack of all trades. With T. L. Holloway, he’s most often found on the jazz guitar – specifically, his Gibson ES-335 Semi-Hollow. He takes particular inspiration from early pioneer Charlie Christian, 1960s virtuoso Wes Montgomery, modern master Bill Frisell and blues great B.B. King. Peter’s career has led him to Beale Street in Memphis, Fenway Park and even New York City’s Webster Hall. His solos emphasize a strong melody, a clean and clear tone, and tasteful usage of blues inflections. Andrew Jones / Bass — Andrew plays the upright bass in the tradition of jazz greats Ray Brown and Paul Chambers. His confident “pizzicato,” or pluck, deftly intersects jazz rhythm and melody. As an undergraduate student, he performed in the award-winning Boston College bOp! Jazz Ensemble. He has toured extensively, going coast to coast with performances in 33 states. His versatility allows him to double on electric bass, and his classical training in “arco” playing (i.e., “with bow”) adds an unexpected quality to many performances. Greg Carleton / Sax — Greg is a tenor saxophonist, composer, arranger and educator. Boasting a Jazz Studies degree from the highly selective Hartt School of Music, his style is heavily influenced by legends Joe Henderson and Sonny Rollins. 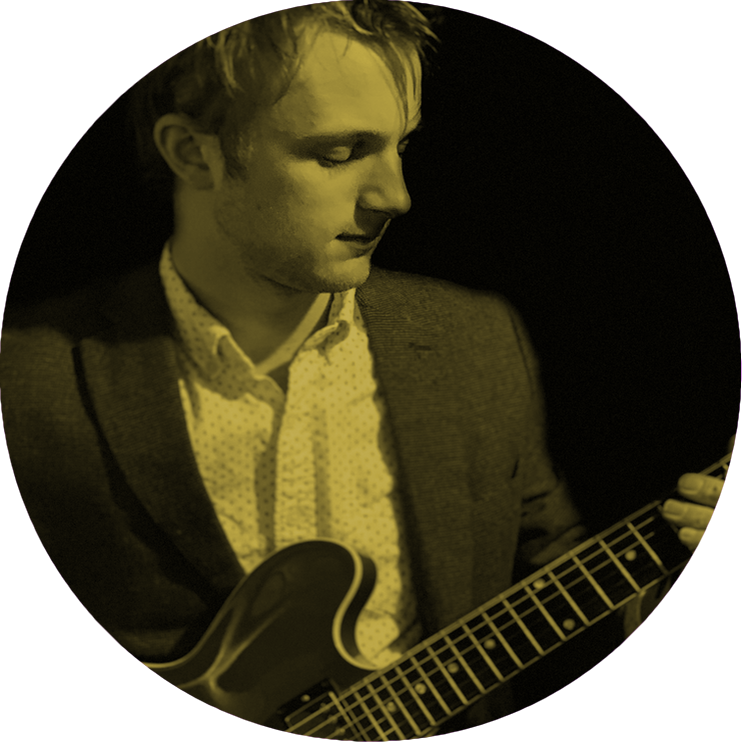 Greg incorporates advanced elements of jazz theory into his playing, all while keeping the music highly accessible to a casual ear. His taste for bop and fusion add an extra spice to the group, infusing an emotive, energetic joy into any T. L. Holloway performance.